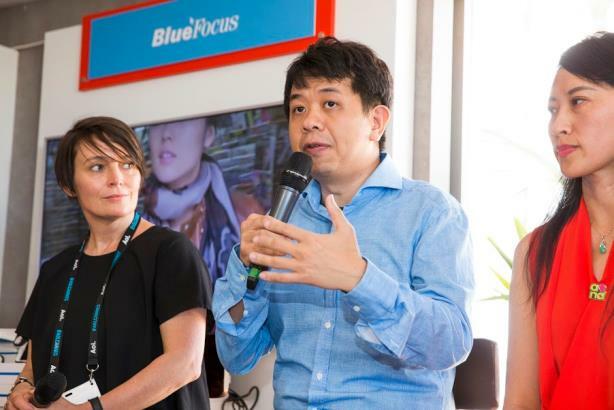 Procter & Gamble executive Kelly Vanasse and other members of a panel at the Cannes Lions International Festival of Creativity described how they're using social data in China to target groups of customers. The rise of social commerce in China is allowing marketers such as Procter & Gamble to tailor their creative campaigns to reach individual purchasers and ad tech platforms to identify specific subsets of customers. "It’s the Holy Grail," said Kelly Vanasse, VP of communications for Procter & Gamble’s global business units. "You know what’s working and what’s not in real time. It’s really only happening in a truly holistic way in China." Vanasse joined Ching Law, GM of Tencent’s social and performance ads department; Joey Bian, JD.com’s head of ad tech strategy and innovation; Holly Zheng, CEO and president of BlueFocus International, and Steve Barrett, PRWeek’s global editorial director, for a panel discussion on social commerce and the role of creativity when it intersects with highly technical data-driven platforms. The event was held Monday in the Haymarket Hive cabana at the Cannes Lions International Festival of Creativity. P&G’s Marriage Market Takeover campaign for its skincare brand SK-II is one example of how the marketer used data insights to develop the work, Vanasse added. The campaign seeks to address "leftover women," a term used to describe unmarried women in China who are older than 25. The campaign, which uses a #changedestiny hashtag, follows in the footsteps of its global female empowerment efforts, such as Like a Girl. P&G previously developed "hero" creative that would go out to all audiences, Vanasse noted. Now, it can target specific types of customers, in part due to its work with Tencent, a Chinese tech firm, and JD.com, an online retailer also based in China. (Tencent and JD.com formed a strategic partnership in 2014). "This program enables us to tailor the content to the different audiences of our different ambassadors," she added. "They do have the richness of the data and the ability to help us understand the consumer." JD.com’s Bian noted that such data helped to identify different groups of customers and allowed the company to develop a program to monitor a customer’s decision journey. It looked at three subsets of customers: the one who has made a few purchases, the customer who is already experiencing the product, and the holdout who is considering a purchase. The rise of social commerce and the incorporation of such data initiative in communications programs have prompted questions about how reliable data is in China. Bian noted that it’s impossible to verify whether ad clicking and impression data are the result of bot machines or web crawlers. What is real, however, is purchase data and social networking data. "Those things are real," he said. But even if data and new technology is shaping how and what is communicated to customers, there is still a need for creativity and an emotional connection to the customer. "At the end of the day, what’s it about?" asked BlueFocus' Zheng. "It’s about human beings."